Delivery UK mainland only, please contact for international charges. 3AL/2.5V aircraft grade titanium. 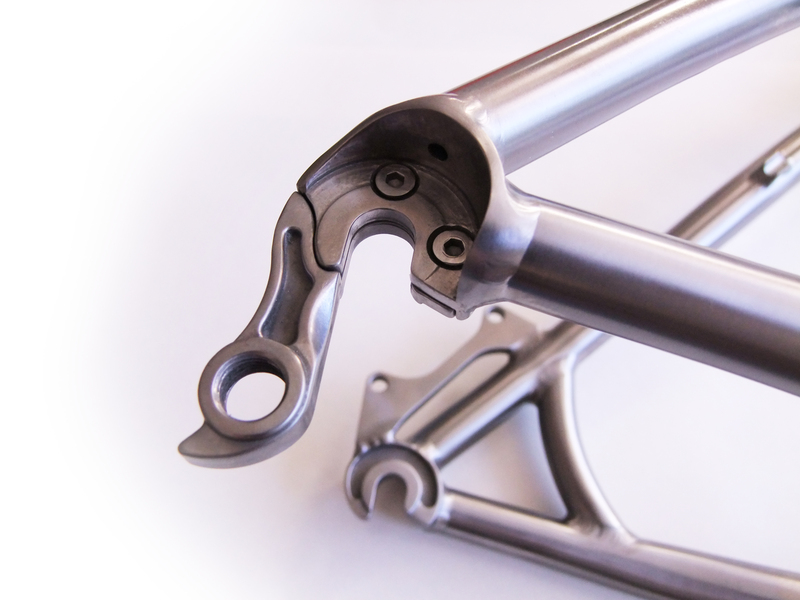 Titanium is a very light weight and strong frame material. The Hostile Hillbilly is one of the few mountain bike frames that weigh sub 16 Kg and can accept a 150mm travel fork. 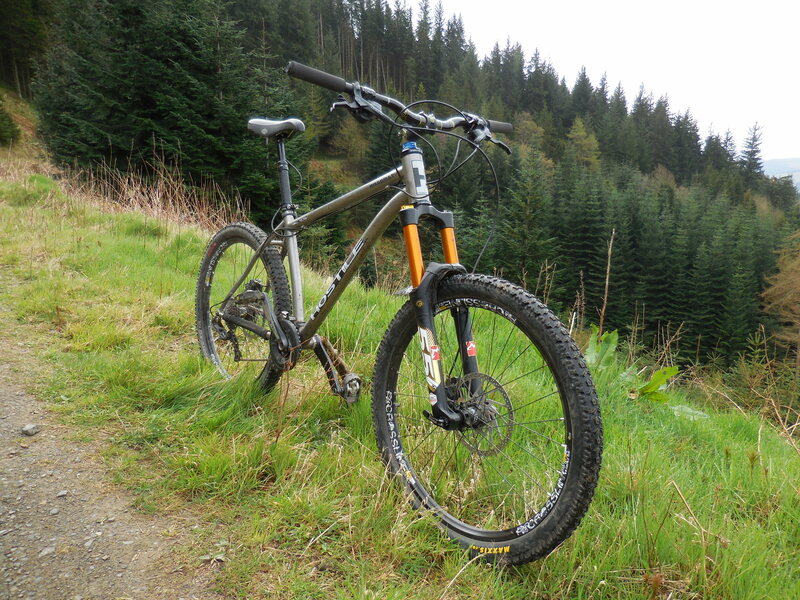 The Hostile Hillbilly frame easily passed all BS-EN standards tests even with a 150mm fork. Titanium is an extremely resilient material. It corrodes very slowly and is very resistant to fatigue. The frame should last you a life time. Titanium also gives a forgiving and comfortable ride. Unlike aluminium you will not feel fatigue in your arms and legs with small high frequency bumps. This will accept any head set configuration so 1 1/8 inch, tapered and 1.5 inch steerer tubes can be used. It also gives the option for integrated headsets allowing the head angel and bar height be altered. 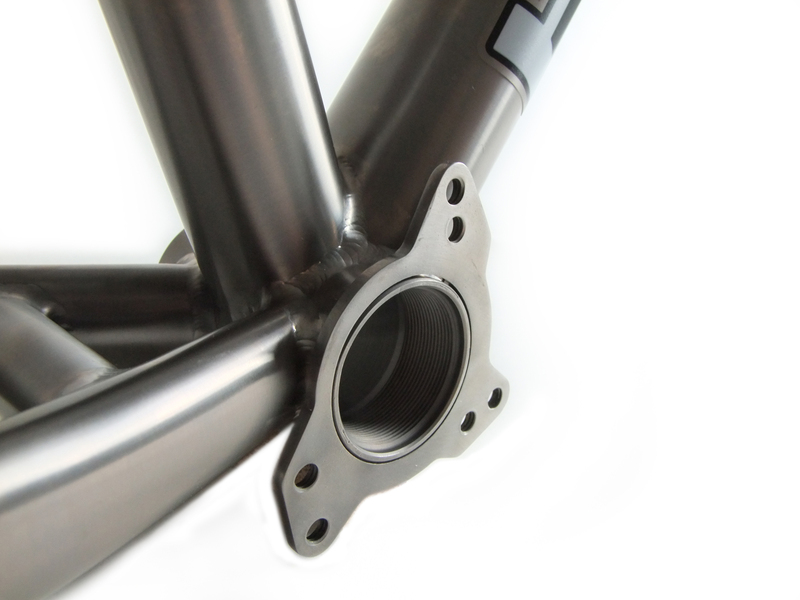 The oversized head set provides a better weld area for the top-tube and down-tube making the frame stronger. A low stand over height makes the frame very easy to manoeuvre and the seat can be lowered more than standard frames for a more aggressive or free-ride setup. The long top tube is designed to make the ideal riding position when using a short stem. The use of a short stem and wide handle bar drastically increases the speed of handling and control. This makes the Hostile Hillbilly very stable and efficient on the climbs and easy to manoeuvre on the descents. This will work with any ISCG chain device mount. Hostile Bicycles still suggest using a chain device even with narrow – wide chains and chain rings and clutch rear mechs. No one wants their chain to derail. There is enough tyre clearance on the Hillbilly to use a 2.5 inch tyre. We like fat tyres and believe the improved traction and damping easily outweighs the small increase in rolling resistance. For a true all-mountain bike, a dropper post is becoming an essential bit of kit. The Hostile Hillbilly has specific dropper post hose routing.